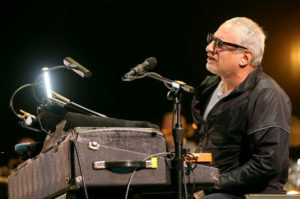 Donald Fagen has given his first in-depth interview since the death of Steely Dan co-founder Walter Becker back in September. On Rolling Stone’s Music Now podcast, Fagen reveals that he had hoped to record another Steely Dan album, but Becker wasn’t interested. “Walter had some health problems, and especially after 2011-12, I think just being ill for so long, he had a little bit of a personality change and he was much more isolated, and he kinda wasn’t that interested in working on Steely Dan records anymore,” Fagen says.